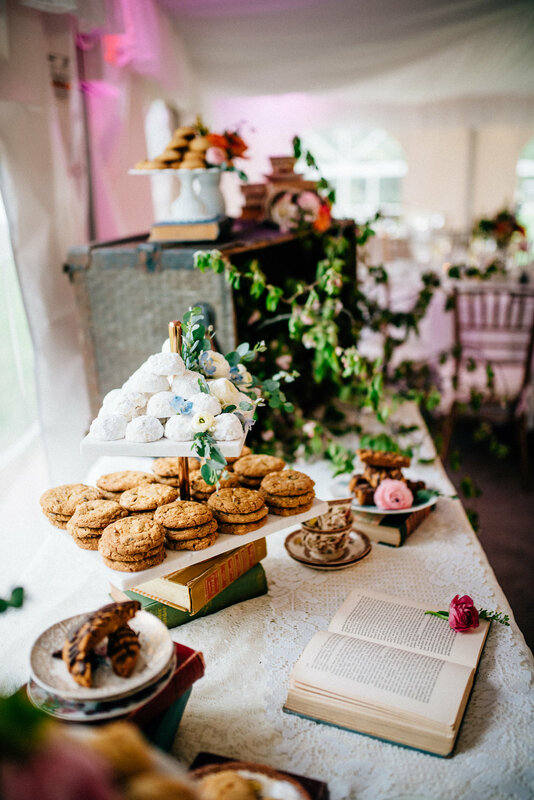 Shabby Chic, vintage inspired cake and cookie dessert table comprised of all gluten free desserts! We paired together old furniture, vintage books, lace, tea cups, and old suitcases...mixed with antique marble stands. This couple was fun and wanted something really different, so we designed something one-of-a-kind, just for them! Our neighbor, Carrie from Dutch Blomen Winkel supplied the fresh flowers and greens we used to create these displays! How amazing are these images by Cait Bourgalt Photography?! This was one of our real weddings that took place on February 24, 2018 at the Danforth Inn, located in Portland, Maine. All of the lace was made by us out of sugar. We hand stitched it onto a custom stand to give the feel of real lace. This design was inspired by the bride's dress. The Knot and Pinch Me Planning asked us to be the featured cake vendor at their event in October 2017 at O'Maine Studios, in Portland, Maine. Click on the link "The Beauty of Autumn- Knot Pro Event" and read all about it! Photography by Christ Bennett Photography. 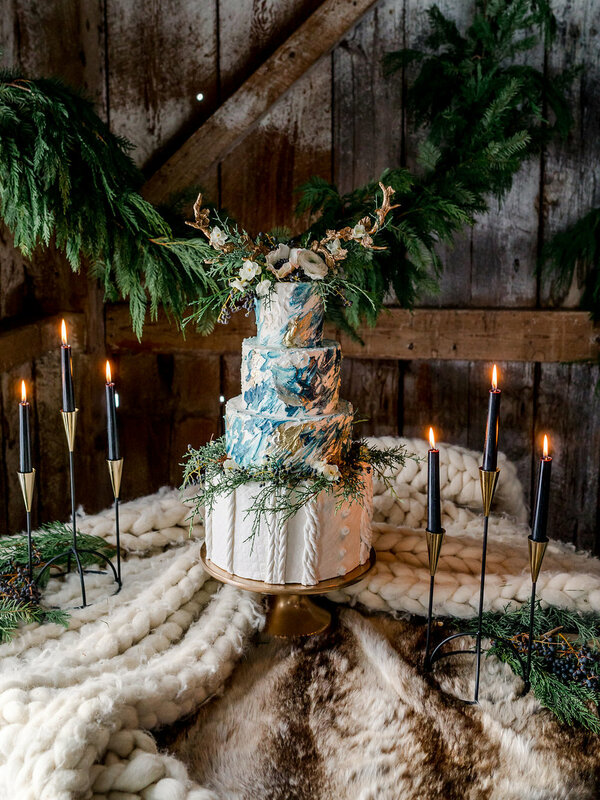 We teamed up with Kristin and Chelsey of By Emily B, Rodeo & Co Photography, floral designer Emily Herzig of EH Florals, Lulu and Too Graphic Design, and Peak Event Services to create this Vikings themed Holiday Inspiration Shoot! Inspired by Pixar's Finding Dory and the motivational words "Just Keep Swimming", owner and cake artist Jaime Melfi created this 3 foot tall cake. This piece of edible art is adorned with colorful coral, a handpainting of the main character Dory, and sculptures of her friends from the movie. 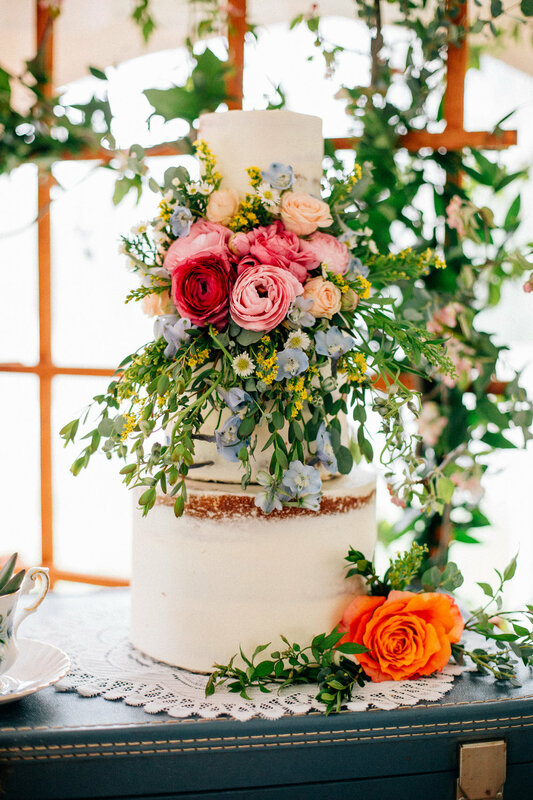 Check out the full gallery of these beautiful images created by Anne Skidmore Photography. 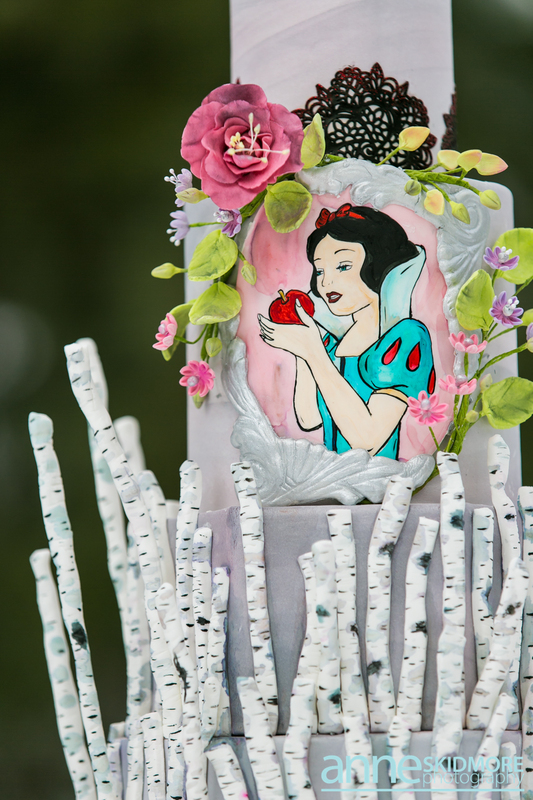 Elegant and whimsical, this hand painted Snow White cake was created with edible lace, funky birch trees, and glittered red ruffles. Handmade flowers and a poisonous apple help capture the essence of this childhood favorite movie. Images created by Anne Skidmore Photography. Local Maine ingredients offer vibrant and natural colors for all senses. 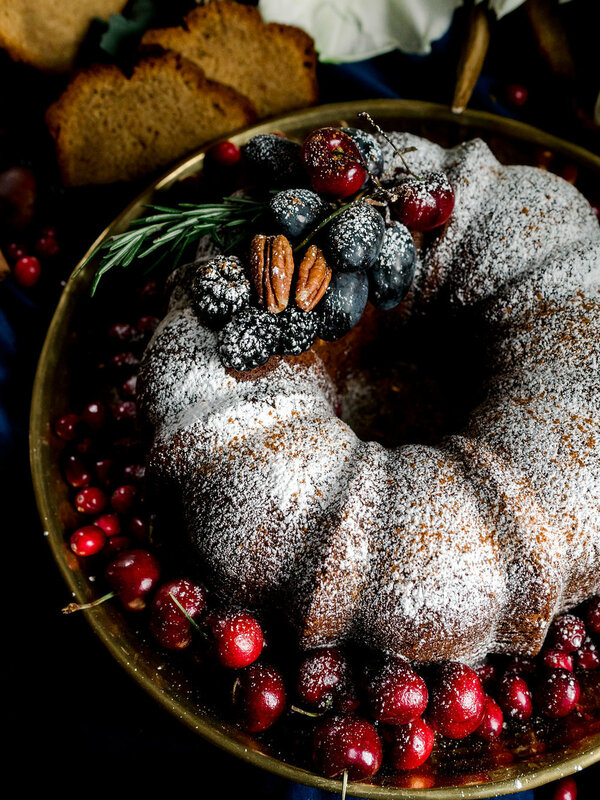 All cakes were baked with local eggs, honey, and veggies. Honey Plum, Chocolate Orange, Beet Velvet with Goat Cheese Buttercream, and Heirloom Carrot Cake. Images created by Emily Delameter Photography. This cake was created after the loss of Jaime's soul mate, her grandmother who passed away on August 26, 2016. Inspired by Mom Mom's love for life, bright and loving personality, her love for lighthouses, and the last words she spoke to Jaime, "We'll always be in each other's hearts." Jaime and Keith dedicate Autumn Nomad to her. Photographed at Hardy Farm by Anne Skidmore Photography. 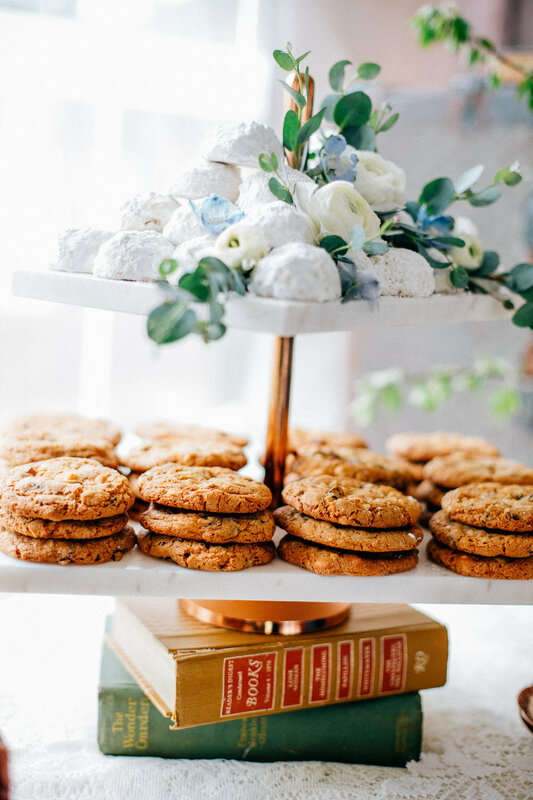 Desert, bohemian, and nature inspired shoot on the Maine Coast. Photographed by Rachel Buckley Weddings at Reid State Park. Florals by Carrie at Dutch Bloemenwinkle. Inspired by watercolor, bright summer colors, and the beach. Photographed by Rachel Buckley Weddings. 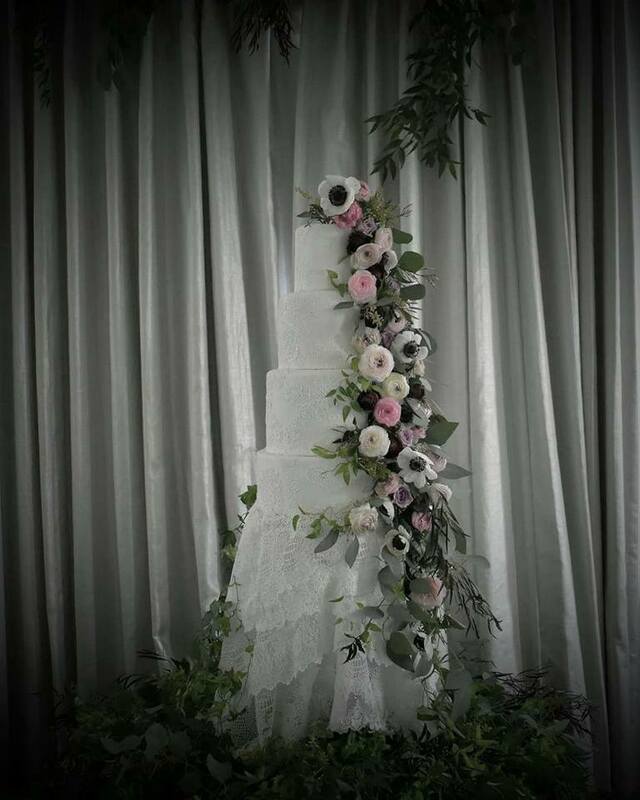 Florals by Yellow Twist Design. 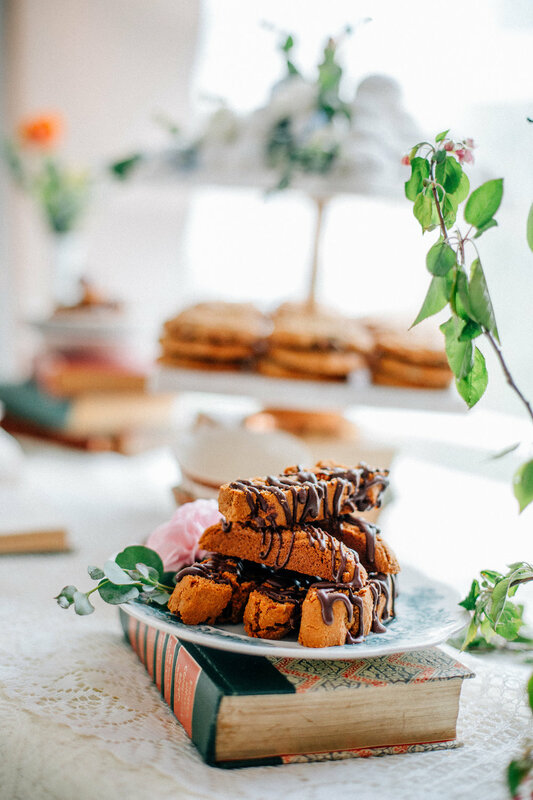 Boho inspired shoot, shot by Catherine Photography, coordinated by Nicole Mower Events. Featured in Wedding Chicks.